Gnawan Trance is the ritual trance music of Morocco, merging ancient African traditions, rhythms, and song with Sufi poetry and music. This unique genre of music was created by sub-Saharan Africans once enslaved in Morocco and further developed by their descendants. 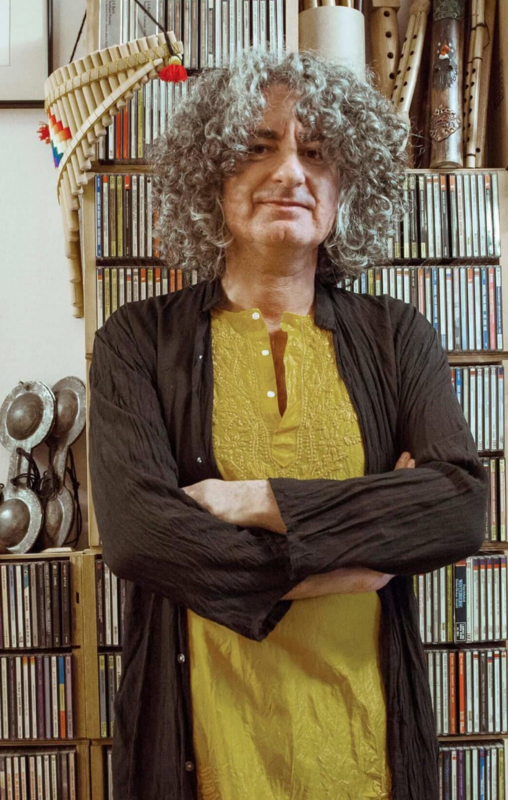 Often called "Moroccan Blues," Gnawan music has a raw, hypnotic power that's fascinated outsiders as diverse as Jimi Hendrix, Paul Bowles, and Randy Weston, and continues to mesmerize growing audiences across the world. Tickets: $35 / free for members. Innov Gnawa is a Grammy-nominated musical collective dedicated to exploring Morocco's venerable Gnawa music tradition in the heart of NYC. Formed in the summer of 2014 by Moroccan expat Samir Langus, the group draws on the considerable talents and expertise of Hassan Ben Jaafer, A Maalem, or master Gnawan musician, originally from Fez, Morocco. Under the guidance of Ben Jaafer, Innov Gnawa has delved deep into the roots and rituals of Gnawan music and has made a big splash in NYC, playing some of the city's most prestigious rooms including Lincoln Center, Music Hall of Williamsburg, Brooklyn Bowl, and the storied backroom of Brooklyn's Barbes. Innov Gnawa has also collaborated and shared the stage with such luminaries as Bonobo and Antibalas. 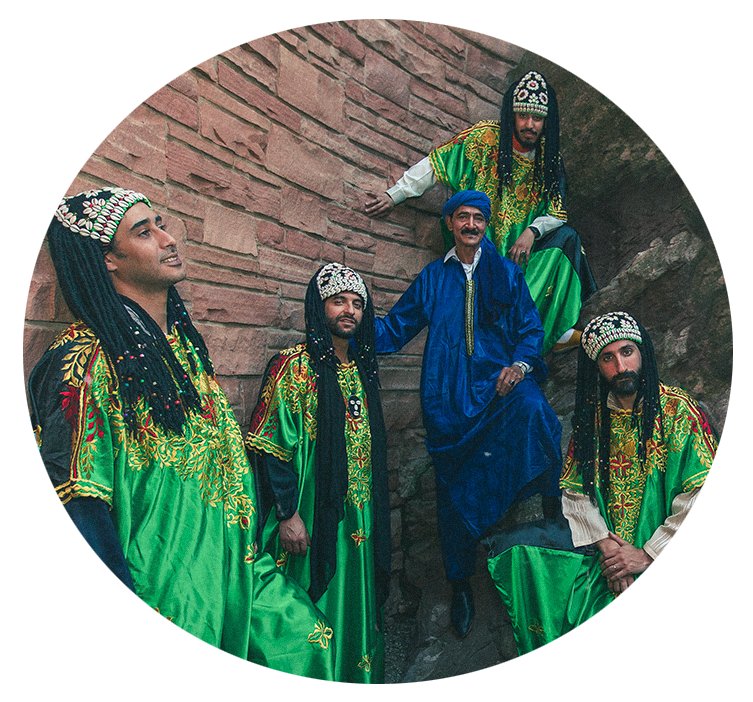 Hailed by Brooklyn Magazine as one of the "5 Bands You Need to Know" in Brooklyn's Arabic music scene, Innov Gnawa make great use of a traditional repertoire and add their own contemporary spin with additional African and Latin percussion. This exciting new outfit fuses a centuries old North African tradition with the pulse and attitude of NYC. 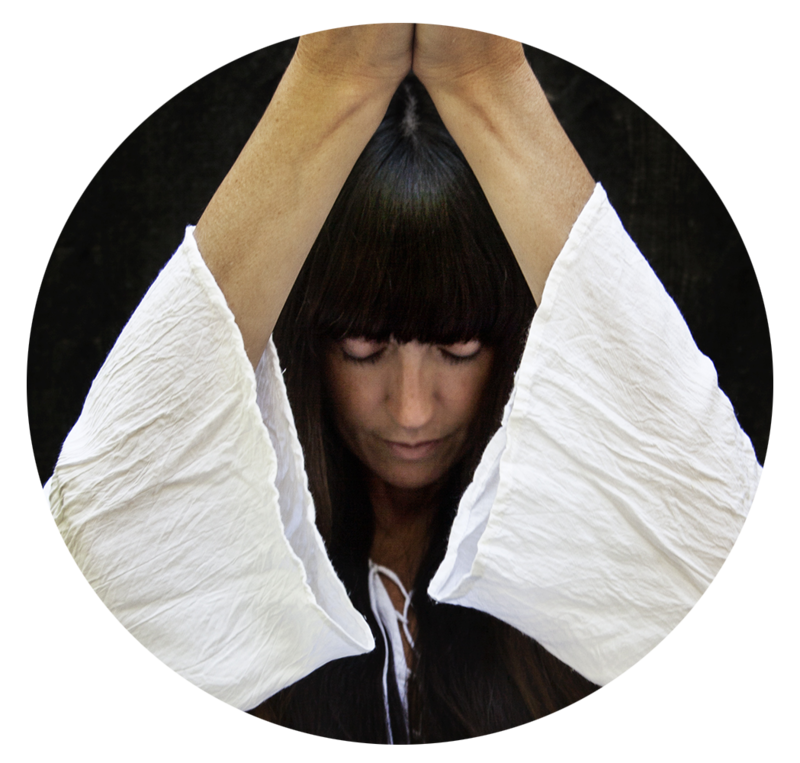 Haleh Liza is a poet, composer, vocalist, and translator born in NYC of Iranian descent whose work reflects her love for both her Persian mystical roots and for the animist songs of certain South American healing traditions. For the last 10 years, she has been learning, digging, composing, mining, translating, and sharing the gems with friends, family, and community within Brooklyn and beyond. 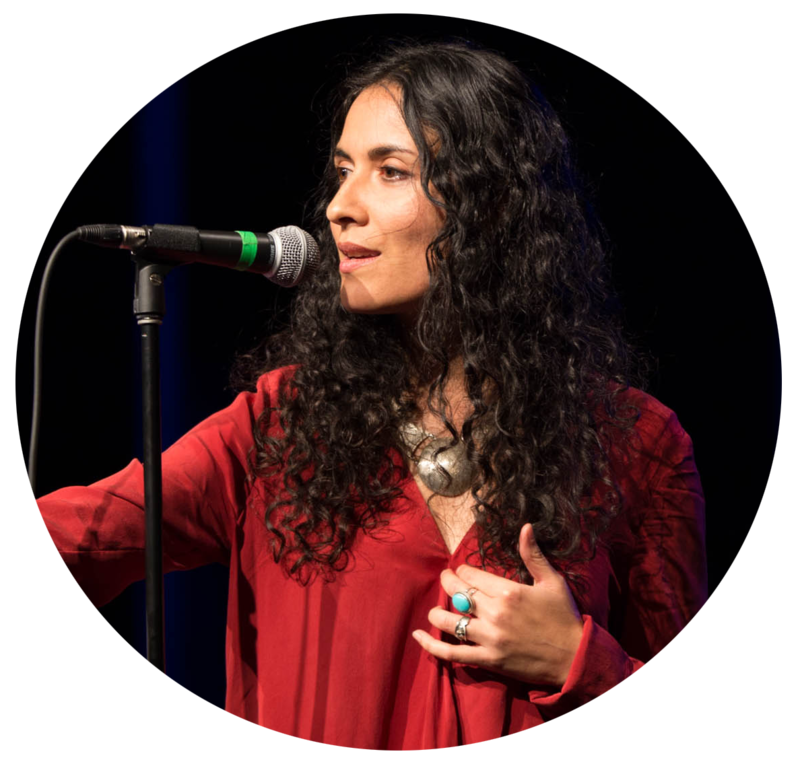 Haleh’s poetry has been published by Columbia University Press and she has performed across the country and in Europe at Universities and venues such as Lincoln Center, Omega Institute, and the Bonnaroo Festival. She recently completed a manuscript featuring new translations of select poems from Rumi's Divan-i-Shams. For the uninitiated, Gnawa music is ritual trance music played by black people and Arabs and those of mixed heritage originally descended from slaves and soldiers once brought to Morocco from Northen Mali and Mauritania. Often called “The Moroccan Blues”, Gnawa music has a raw, hypnotic power that's fascinated outsiders as diverse as Writer/Composer Paul Bowles, Jazz Giant Randy Weston and Rock God Jimi Hendrix. The music is utterly singular, played on an array of unique instruments — From the lute-like sintir that the Maalem uses to call the tune, to the metal qarqaba (castanets) with which the kouyos (chorus) keep time and pound out clattering, hypnotic rhythms.